Bluebird, the hydroplane that reached record-breaking speeds, has returned to the water for the first time in more than 50 years after it crashed killing its pilot, Donald Campbell. 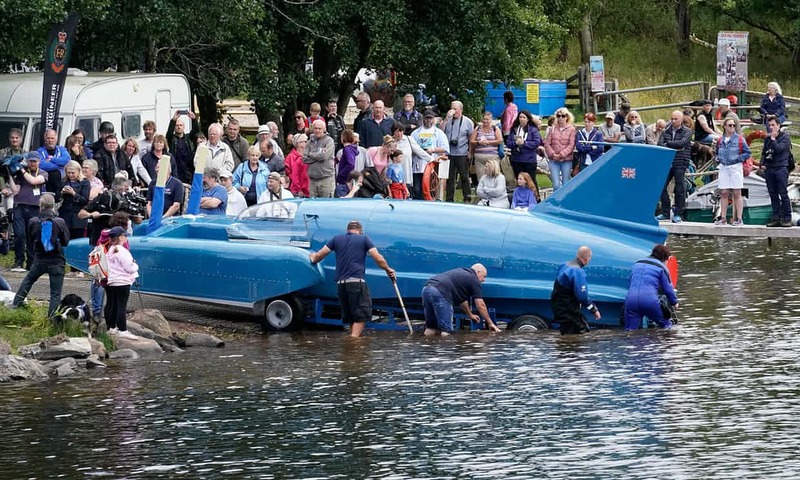 The jet-powered boat was launched in a lake on Isle of Bute in Scotland or August 4, 2018. Having broken eight world-speed records on water and land in the 1950s and 1960s, Campbell was attempting to break his own water-speed record of 276 mph when he was killed. The wreckage of Bluebird, with Cambell’s body, his race suit still intact, was pulled from the depths of the Cumbria lake in 2001. The boat was restored by volunteers. Full story from The Guardian.